The Witcher 3 is the newest title of the Polish company CD Projekt Red. While it is a beautiful game with a great campaign, PC gamers suffer from its high system requirements. In this tutorial, check out some useful tips on troubleshooting PC game issues, how to defragment the computer's hard disk and update the driver for your video card. To have a new release schedule, companies with Nvidia and AMD develop drivers for their graphics cards deliver the best graphics possible to its customers. If your video card is Nvidia, visit the manufacturer’s Downloads page, and update the drivers for your card to the latest version available. But if the card is AMD, the user can also update your drivers accessing their Driver’s Downloads page. Many people are afraid when they hear the word Overclock. The technique consists in making its hardware rotate at a greater speed than it was designed. However, it is associated by many as a faster way to burn your parts. Nevertheless, there are safe and inexpensive ways to accomplish overclock on your machine without it being damaged. 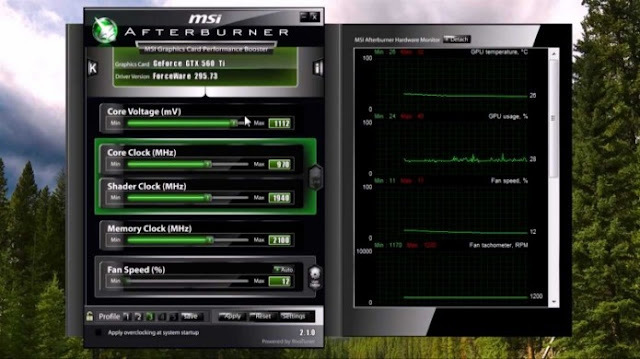 One of the programs most commonly used to perform the technique is the MSI Afterburner and, although it has that name, it is not necessary to have a video card MSI, as it works with the vast majority of boards. It is interesting to use in the process of overclocking a Benchmarking Program - Performance Test, in free translation - such as Heaven or 3DMark. A disk full of fragmented files directly impacts the performance of your game. The delay in locating data to read the disc makes the game need more performance to deliver results quickly. Furthermore, it can result in a loss of performance in severe cases. Operating systems like Windows have a native disk defragmentation tool of the system, but you can download third-party programs that perform such a task, such as Smart Defrag or Auslogics Disk Defrag. The Witcher 3 allows players to disable and modify a range of graphic resources to make the experience as pleasant as possible for the player. However, some features may be disabled or reduced for those who want the highest possible performance. Sharpening: Makes the characters and settings of the game look more natural and realistic. Disable it will make them appear more rigid. Anti aliasing: It makes objects appear flat, but adds a misty filter so that they are well presented. Ambient Occlusion: It makes the game scenario receives a global illumination and gives more realism. If you want better performance, the advice is to disable it. 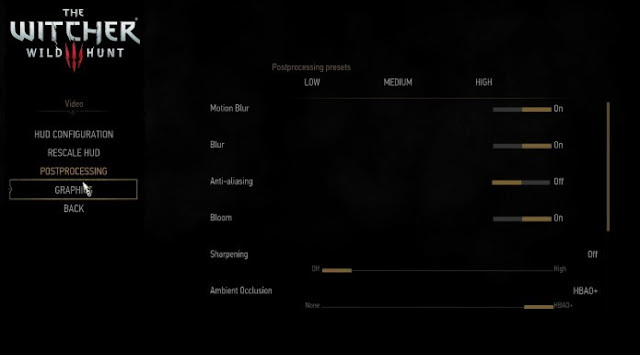 Blur: Adds a misty effect to all objects of the game, giving a more natural air, especially during particle effects such as rain, wind, fog and fire. Motion Blur: Misty effect is applied during movement, such as when Geralt runs or rides in roach. Vsync: One of the biggest consumer PC performance. A technology that realizes a vertical alignment of the pixels, making the texture of game objects becomes more realistic and better "embedded." Maximum Frames per Seconds: Also known as FPS, configures how many frames per second you wish to be transmitted in tela.Uma of the options that most influences in the game, because the higher the SPF, the more fluid is the movement and animation. NVIDIA Hairworks: Present in Nvidia cards, it makes the video card consumes more processing to leave the movement and hair modeling, hair and more realistic vegetation. Display Mode: Game adjustment mode on the PC screen. By default, the game is set in Full Screen, but if you want to significantly reduce the lag, change the option to "Bordeless (Window borderless)." Modify these options is, of course, The Witcher 3 run better on your computer. 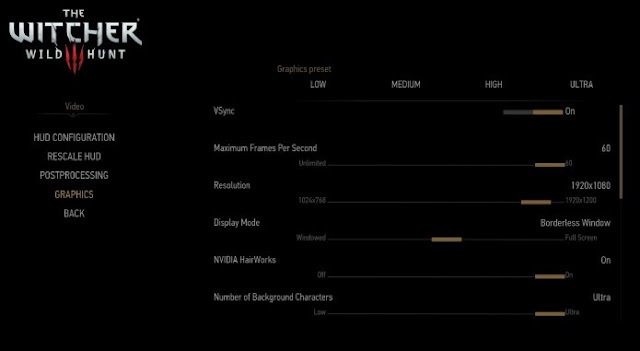 However, if you still feel slow and lag during his departure, return to the "Graphics" menu and select "Graphic Presets (predefined Charts)" the "Low (Low)."